Kiyomi Lim's Site. : Shoponblog's Blogger's Giveaway ! 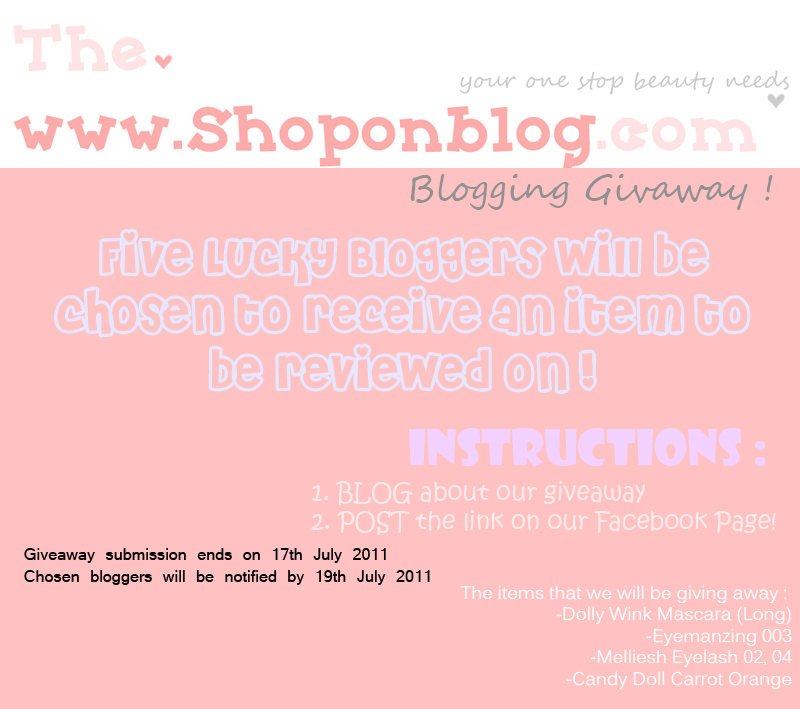 It's SHOPONBLOG'S Giveaway ! I seriously can't believe this. It's the great mighty big Shoponblog alright? They are having a freakingly wonderful giveaway for us bloggers ! & it's just so easy to participate ! All you have to do is just blog about this giveaway ! Hall of Fame with other famous bloggers like Miyake Wong and Wendy Ashley ! OMG, this is just so ridiculously wonderful deal ! SO YOU ALL WILL STAND A CHANCE ! Blog about Shoponblog's Giveaway today !